There will be days when nothing seems to go your way. But on those days, you need to look for the good. 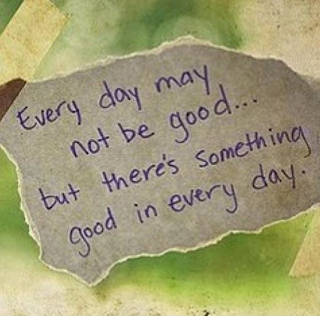 Just as this great pin on Pinterest says, there's something good in every day. You may have to look hard to find it, but it is there. Promise. This great pin was shared by Courtney Redwine, via Sara Mossakowski.